If you’re worried about indoor air quality and the overall healthfulness of your home, Comfort Services, Inc. can help. In the same way that a medical doctor is trained to diagnose and treat illnesses of the human body, Comfort Services, Inc.'s technicians are trained and certified to detect and correct building defects that cause indoor air quality problems. Medical doctors can easily misdiagnose sick building syndrome because many of the symptoms resemble flu-like illnesses and ailments. To accurately diagnose indoor air quality issues and resolve them with proven solutions, call Comfort Services, Inc. Guided by building science principles, our forensic building analysis will identify your home’s IAQ issues, propose the most effective solutions, and complete the remedies you select. Installing an energy recovery ventilator (ERV) is one way we can help improve the air quality in your home. An ERV system will replace stale indoor air with fresh outside air. Contact us for an installation quote! Contact Comfort Services, Inc. to setup an appointment with one of our technicians. They will inspect your home and provide prioritized suggestions for reducing indoor air pollutants. You don't have to deal with a "sick" home any longer! Give us a call at 1-855-800-2275 or contact us online. 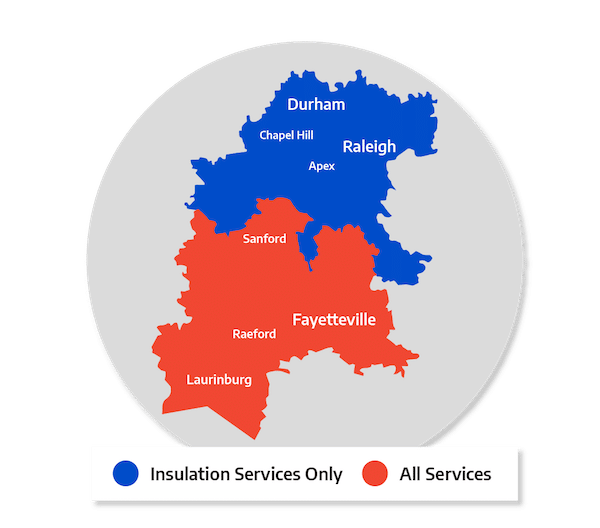 Comfort Services, Inc. proudly serves Southern Pines, Aberdeen, Pinehurst, Apex, Garner, Chapel Hill, Fayetteville, Durham, Fuquay Varina, Fort Bragg, and nearby areas of North Carolina.